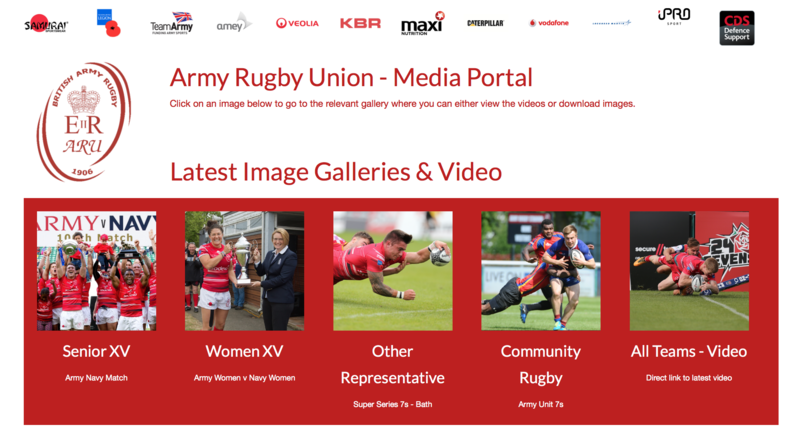 With a major redesign and improved functionality the Army Rugby Union's Image Library has become its media portal. Alligin Photography has redesigned the core infrastructure of its acclaimed digital library service to provided a great platform for the rich action video content produced by new partner JPF Sports Media. JPF Sports Media have a long history working with the Army Rugby Union producing a wide range of videos. Their highlight videos and some promotional videos will now be housed on the Army Rugby Union Media Portal. 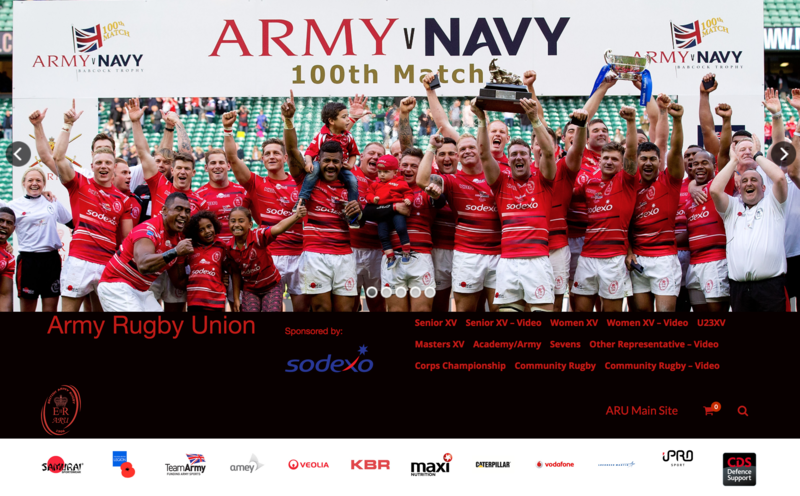 The Army Rugby Union's strap line has been firmly fixed in Alligin Photography's development process over the close season as it builds on its first year of providing the Army Rugby Union with action imagery and digital distribution. Working in the sporting environment you get to see how hard the players and coaching staff work to be the best they can on the field whilst in the Army's case still being professional soldiers first and foremost. As a photography company that also specialises in digital distribution the least we could do was to work as hard behind the scenes to continue to improve our digital distribution service. We have long wanted to work more closely with JPF Sports Media and when Jonathan agreed to house his media on our platforms we sat down with the Army Rugby Union to produce a complete overhaul of our Image Library service and are very pleased with both the new look and feel of the service but also some of the technical changes that have been made to the functionality. The obvious change is visible on the front page and that is the site now provides access to the new video content as well as the previously available action imagery. Behind the pages the videos are managed through the Vimeo video engine, an industry leader in streaming videos. Whilst JPF Sports Media provides the content Alligin Photography provides the Vimeo platform and has also designed the viewing environment so that it is able to support the full range of video quality content, is held securely and the viewing experience is not diminished through having to carry advertising. The last point was considered very important as online advertising algorithms continue to improve and the risk of secondary advertising/marketing continue to increase. 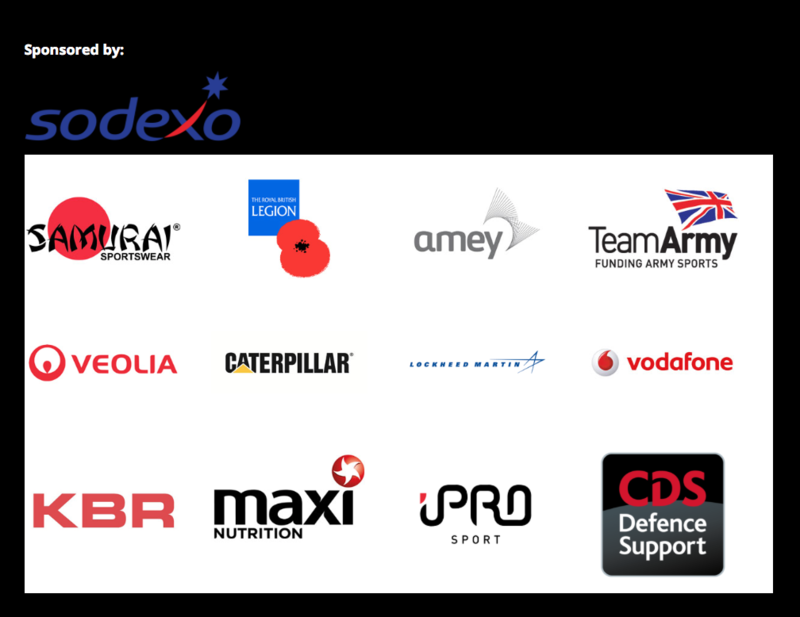 The Army Rugby Union has a number of sponsors, many of whom are International companies with very valuable brands and trademarks. Alligin Photography has built protection of core branding at the very heart of the digital platform. 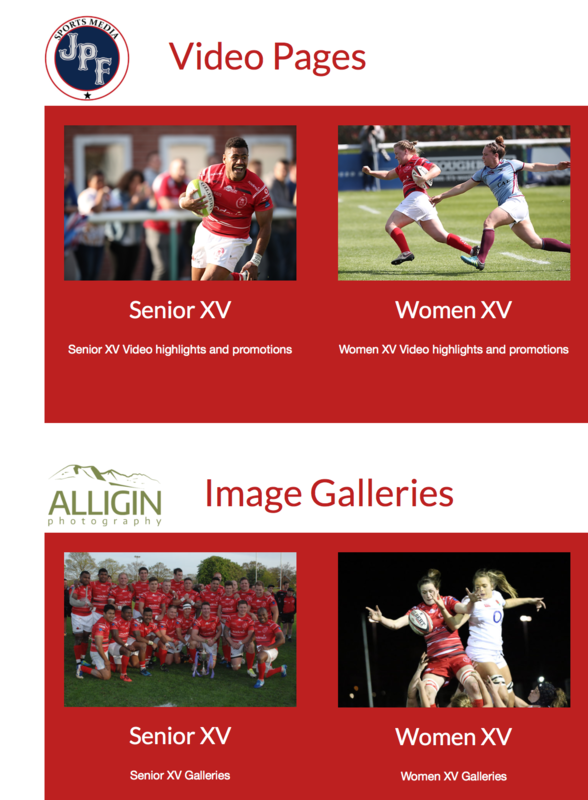 Alligin Photography, again working primarily with Scrumpix-Images, will continue to provide a number of image galleries from games across the full spectrum of Army Rugby Union activity. Eight dedicated gallery pages have been created to again make navigation easier and a more visual experience. 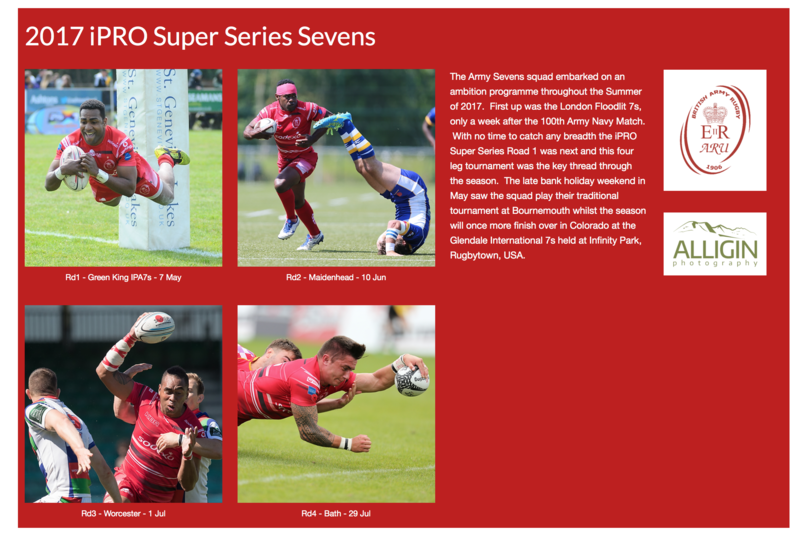 The dedicated content pages allow more to be done with either the video or the action images to underpin the Army Rugby Union's key messages and branding. Through the choice of lead in image and by the addition of targeted text the pages are easily built in to a valuable 'storyboard' whilst also clearly and easily signposting the user to the gallery of their choice. Each image provides a click through to the appropriate gallery or to other rich content that is provided as part of the portal. The user can always easily click through to the Army Rugby Union's primary online presence. 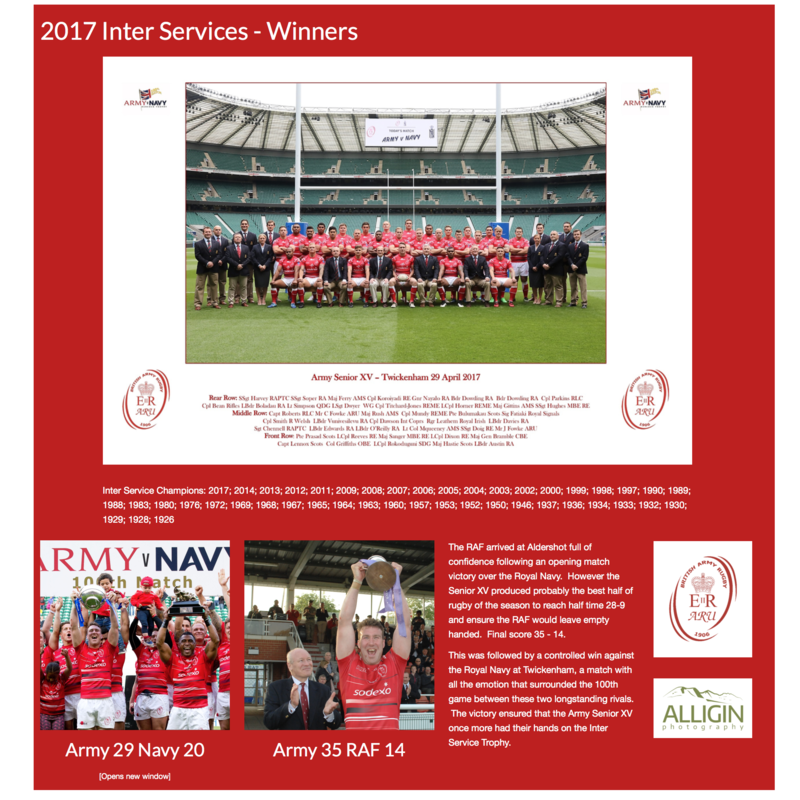 The portal also supports click through to the Army Rugby Union's sponsors who appear in the footer but also discreetly at the top of each page, an area where research shows there is far greater engagement from the portal's users. Alligin Photography has invested in dedicated servers for its digital content. This easily allows server resource to be reconfigured during peak periods ensuring quicker processing of the digital download. Alligin Photography provides a number of portal/libraries which all use Symbio to manage the digital resizing of images and Vimeo Pro for the video content. Downloading images is a completely 'hands off' experience with images automatically being resized, licensed and delivered via the user interface. All orders are logged providing powerful information to marketing departments as to which areas of the business are getting higher levels of engagement, the style of image that is popular and also where the images are being used. 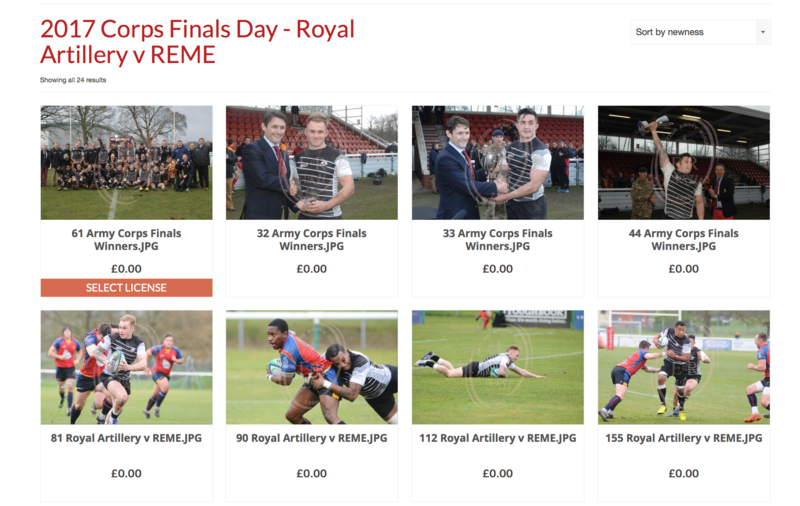 The Army Rugby Union Media Portal still has at its heart the ability to easily download an image from a product page. Data from last year shows how popular this core functionality remains and is widely used by players, spectators and Army Rugby Union sponsors. With Lee Crabb, of Scrumpix-Images, continuing to be the key photographer a high standard of action imagery is assured which is usually available for online digital distribution within 12 hours. Where there are special requirements, usually for marketing purposes, hand finished images are still provided from the source files and these can easily be produced at poster (or bill boards) sizes. Alligin Photography continues to ensure that all the imagery remains compliant with current legislation and that its metadata is complete to ensure easy retrieval and correct attribution whether the image is used today, tomorrow or twenty years in the future. A new easy to remember url is provided for the Army Rugby Union Media Portal. Soldiers First? Certainly off the field Alligin Photography in partnership with JPF Sports Media is providing the Army Rugby Union with a standard of functionality and online presence that is not to be found anywhere else in UK Service Sport and the revised digital platform reinforces the Army Rugby Union's commitment to remaining relevant, innovative and at the forefront of the rapidly evolving modern sporting market place.